The luckiest people in the world are those who love their work, and that fits Sharon Carr to a "T." She never tires of meeting new people, exploring homes and vacant land, searching for just the right property for a client, and overcoming the hurdles that can appear during a real estate transaction. She enjoys the flexibility that a career in real estate affords and eagerly dives in to learning new skills – whether it's new technology or how best to serve her clients and customers. When not serving clients and customers, Sharon enjoys spending time with her grown children, when she can and her grand-daughter who is almost 2 years old..
A resident of the Alamogordo area for 23 years, Sharon feels fortunate to have raised her children in a safe environment. Her daughters both graduated from Alamogordo High School and both attended and graduated from NMSU with their respective degree's. Before choosing a career in real estate, she worked as a waitress. Waiting tables taught her how to handle everyday situations. She received her real estate license from the state of New Mexico after attending Norris Real Estate School in the winter of 1993. Sharon grew up in England and graduated high school at the age of 16 in 1974. While she never thought the day would come when she had the opportunity to own a business, it happened in 2011. She attained her Qualifying Brokers license and she and her business partner; Meike Schwarz-Churchman purchased Welcome Home Realty. She and Meike have a successful real estate company, that offers all real estate services to include Property Management, International Relocation, Listings and Sales. Their office has almost a hundred years of experience!. Sharon enjoys using technology both to communicate well and to expose her listings to home seekers all over the Internet. Welcome Home Realty has a fantastic reputation and has been voted the best non-franchise real estate office in all of Otero County by local residents. When you're seeking an agent in Alamogordo or the surrounding area who will put your goals first, call on Sharon Carr. While many real estate agents in Alamogordo and Otero County set their sights on selling the most expensive homes, Sharon enjoys working with those at the entry and mid-level ends of the market. 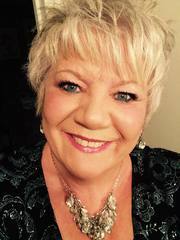 She has been the recipient of the "Realtor of the Year" award presented by NMMFA, for the State of New Mexico, for her outstanding service with First time home buyers. She was also very proud to receive the award of "Rookie of the Year" in 1995 from the local board of REALTORS. She says that helping first time home buyer's brings rewards that can't be counted in dollars and cents. The challenge of finding the right home combined with the satisfaction of helping people realize their dreams of home ownership keeps her looking forward to each new day and each new client. Of course she also enjoys helping move-up buyers and those who are relocating or searching for a second home. Buyer clients often remark on her patience – both in helping them understand the entire process and in finding their perfect home. When transactions run into "bumps in the road" that cause delays, she works through them, keeping everyone on an even keel and moving forward. She is known for "thinking outside the box" and often solving problems with unique idea's. Sharon has served for several years as a director on her local board of Realtors and has served on different committee's with the profession too.